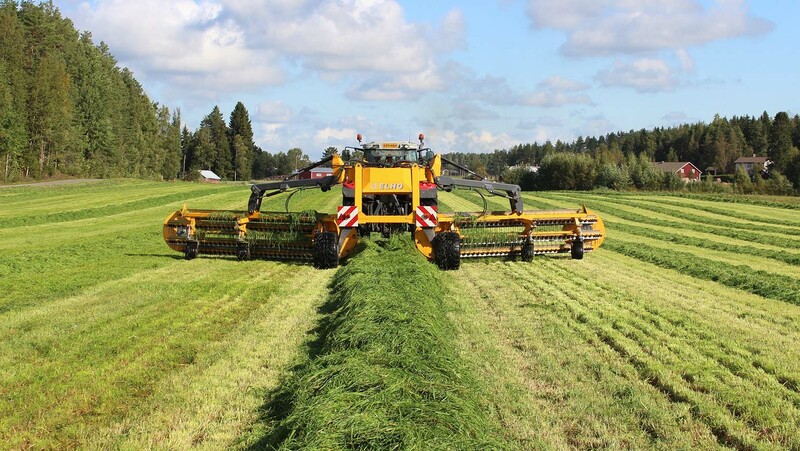 With the new ELHO V-Twin 950 Super you get clean forage to one swath from up to 9.5 meters! 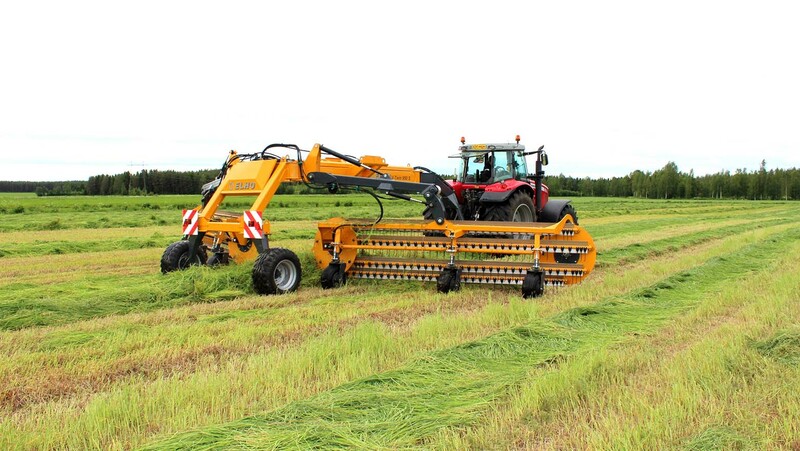 The harvesting machinery is growing and they can now take in bigger swaths with more forage. ELHO has developed a wider lifting swather -the V-twin 950 S with stepless adjustable working with from 4,.5 to 9.5 meters. 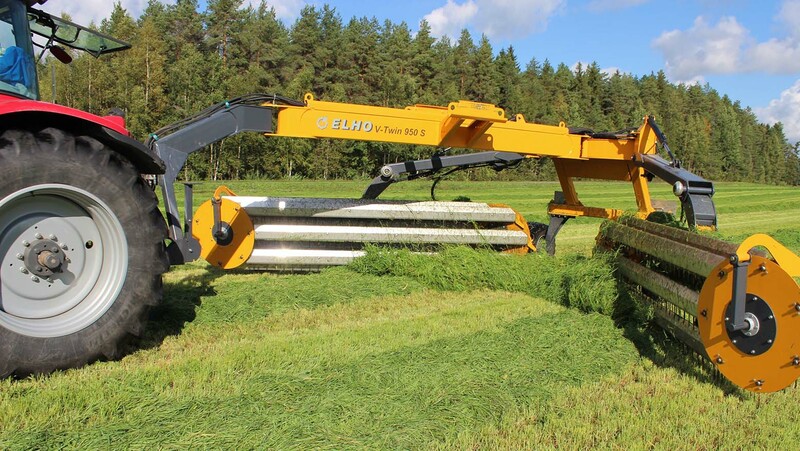 The ELHO V-Twin 950 Super has HydroBalance suspension wich ensure good ground following and of course the two rotors that lifts the forage and mowes it in the air to the midle of the machine. The swath width can be optimized to the harvester and the quality of the forage stays good.